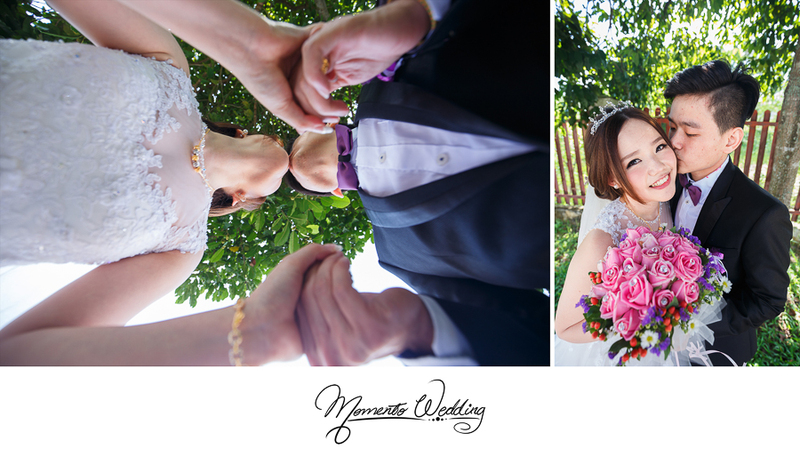 MomentoWedding has been given the privilege of capturing the moments of many happy Brides and Grooms who are getting married on their special day. 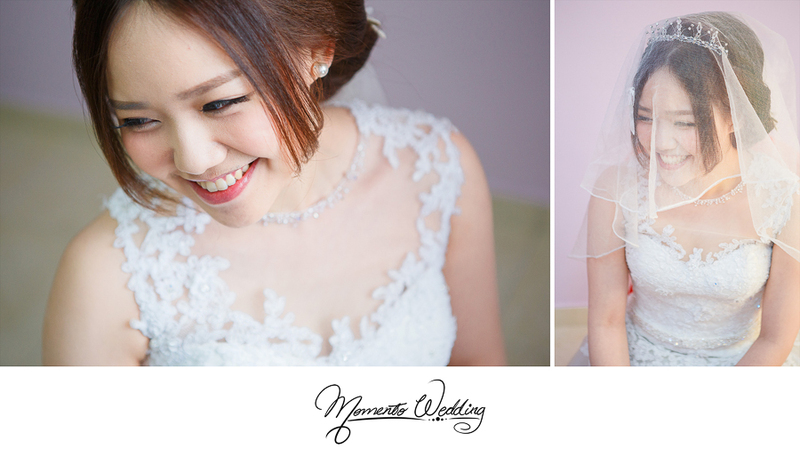 We mostly get enquiries for Chinese Wedding Photography. 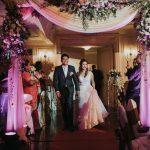 Seeing the Bride and Groom’s happy faces and grinning smiles in such a natural and warm atmosphere is what motivates us to produce beautiful pictures of them. 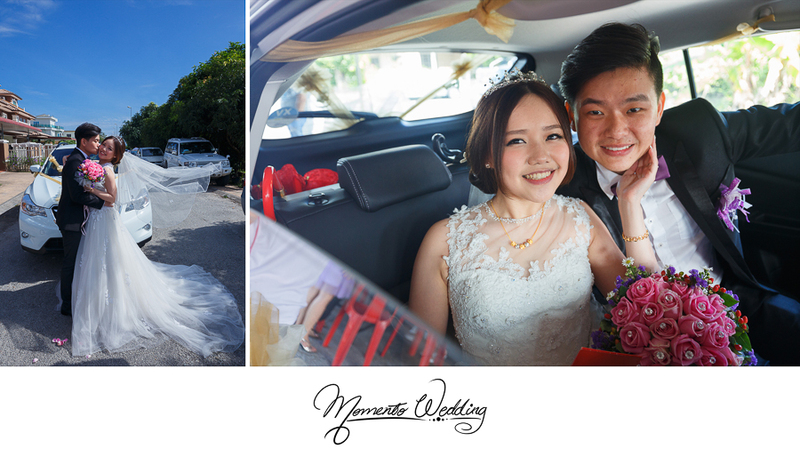 Our recent couple, Kim Lun and Evonne is no exception in us as their wedding photographer. 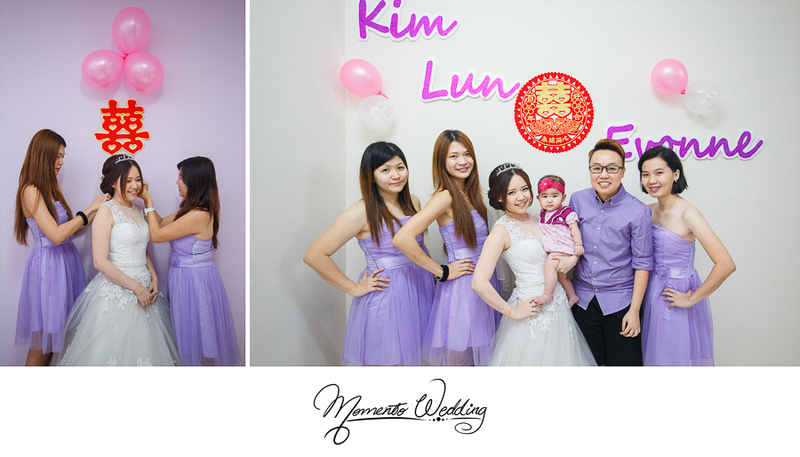 When they entrust us with the responsibility of having their fetching of bride and wedding reception events captured on camera, we try our best to live up to their expectations of a good Chinese Wedding Photography. 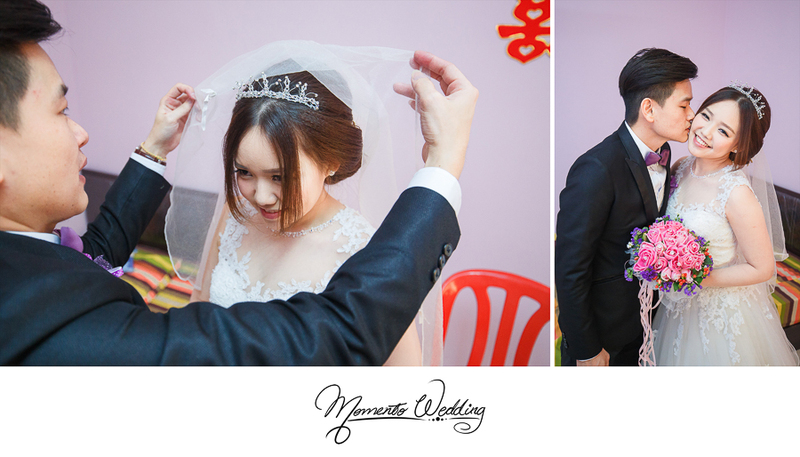 One of the traditional wedding traditions that can be seen is the putting down of veil by Evonne’s parents, which was then followed by warm kisses from her parents on both sides of her cheeks. 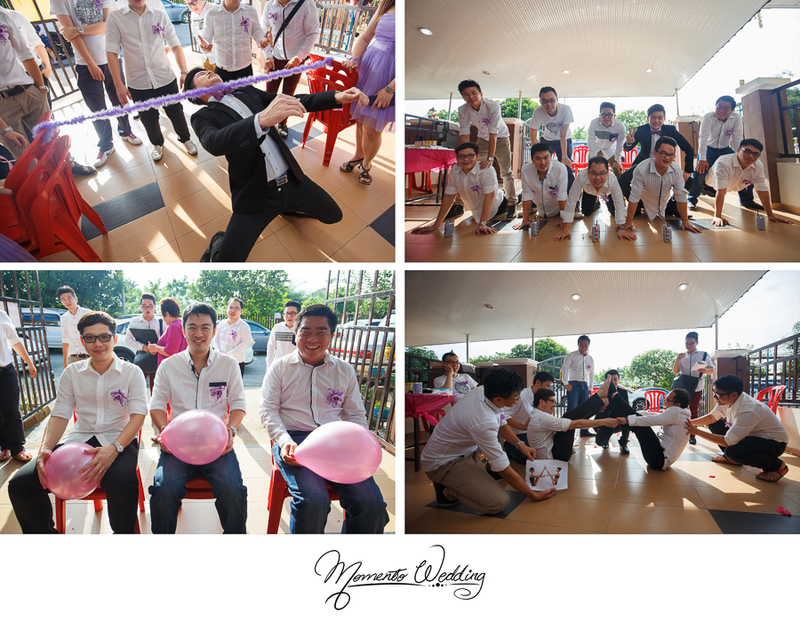 And also, Kim Lun and his troop of Groomsmen were cool and fun enough to spice up the traditional gate crashing games prepared by Evonne’s pretty group of Bridesmaids. 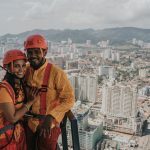 For the Chinese Wedding Photography, the Groom and his Groomsmen were involved in a lot of weird and crazy poses as well as pulling of some wacky mind blowing stunts which were all successfully captured on our camera! 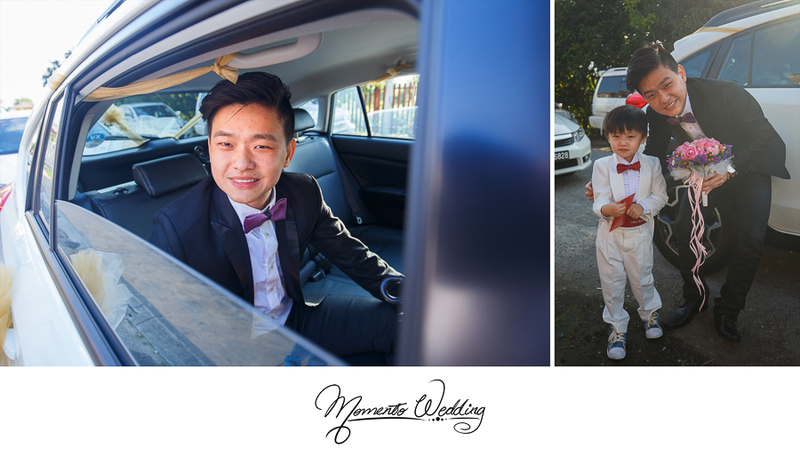 Kim Lun, donning a black tuxedo was all smiles and excited to “Fetch” his blushing bride. 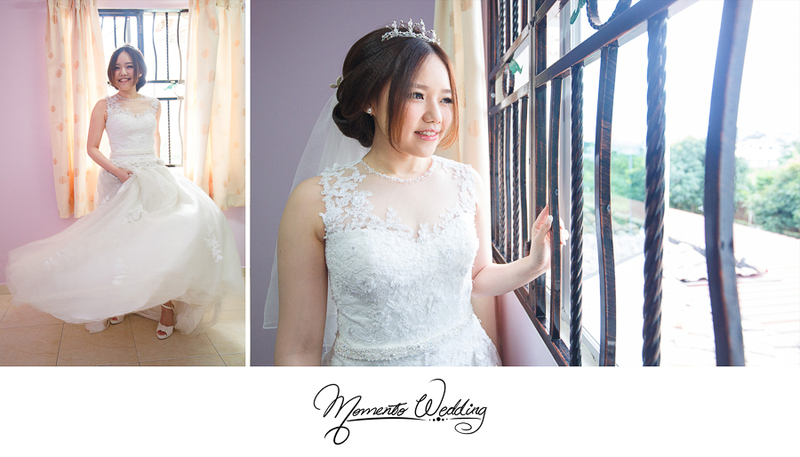 Evonne was indeed seen looking like a gorgeous princess in her white gown. 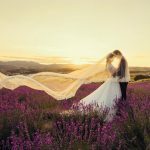 Of course, the traditional ritual of lifting up the veil of Evonne by Kim Lun was beautifully captured too to make the collection even more meaningful.